Peter Millican (born 1 March 1958) is Gilbert Ryle Fellow and Professor of Philosophy at Hertford College, University of Oxford in the United Kingdom. His primary interests include the philosophy of David Hume, philosophy of religion, philosophy of language, epistemology, and moral philosophy. Millican is particularly well known for his work on David Hume, and from 2005 until 2010 was co-editor of the journal Hume Studies. He is also anInternational Correspondence Chess Grandmaster, and has a strong interest in the field of Computing and its links with Philosophy. Recently he has developed a new degree programme at Oxford University, in Computer Science and philosophy, which accepted its first students in 2012. Peter Millican attended Borden Grammar School in Kent, United Kingdom. He read Mathematics and then Philosophy and Theology at Lincoln College, Oxford from 1976–1980. Staying at Lincoln College, Millican took the Philosophy B.Phil in 1982 (with a thesis in Philosophical Logic). Millican later obtained his PhD with a thesis on Hume, Induction and Probability, and also a research MSc in Computer Science, while employed at Leeds. After teaching at the University of Glasgow from 1983, Millican was appointed in 1985 to a permanent Lectureship at Leeds University, teaching both Computing and Philosophy. After 20 years at Leeds, in 2005 Millican was appointed as Gilbert Ryle Fellow in Philosophy at Hertford College, Oxford, promoted to Reader in Early Modern Philosophy in 2007, and Professor of Philosophy in 2010. In 2009, he was appointed as the first “David Hume Illumni Fellow” at Edinburgh University, a visiting position that he occupied during 2010–11. Millican is best known for his research on David Hume, notably on the development of Hume’s philosophy, and on the interpretation of his writings on induction and causation. In a 1995 paper, Millican gave a detailed analysis of Hume’s famous argument concerning induction, aiming to reconcile its apparent sceptical thrust with Hume’s clear endorsement of inductive science: the previous interpretations that he was attacking had either condemned Hume as an inconsistent sceptic, or denied the scepticism entirely. 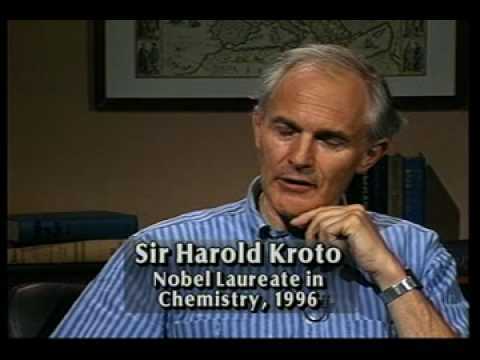 His 2002 collection included a paper refining his analysis, and arguing against recent revisionary non-sceptical interpretations (particularly those proposed by Don Garrett and David Owen)—this debate is still ongoing in his 2012 paper. The collection also emphasised the distinctive importance of Hume’s work in the 1748 Enquiry, with the controversial implication that the Enquiry, rather than the Treatise, should be taken as presenting Hume’s definitive perspective on the main topics that it covers. Much of Millican’s other research, while not itself historical, has focused on Humean topics such as induction, probability, and philosophy of religion, but also on philosophy of language. His most significant non-Humean papers are on the logic of definite descriptions (1990), the morality of abortion (1992), and Anselm’s Ontological Argument (2004).”. As an educator, Millican’s most distinctive contributions have been on the interface between Computing and philosophy, devoting most of his career at Leeds to developing the teaching of Computer Science and programming to students in the Humanities. More recently, he has championed a new degree in Computer Science and Philosophy at Oxford University (see Degrees of the University of Oxford), which started in 2012. To encourage students in the Humanities to get involved in Computing, Millican developed a number of user-friendly software teaching systems. In 2008 and 2009, some Republican commentators advanced claims that US President Barack Obama‘s autobiography, Dreams from My Father was written or ghost-written by Bill Ayers. In a series of articles in American Thinker and WorldNetDaily, authorJack Cashill claimed that his own analysis of the book showed Ayers’ writing style, and backed this up citing analyses by American researchers using Millican’s Signature software. In late October 2008, shortly before the US Presidential election, US Congressman Chris Cannon and his brother-in-law attempted to hire Millican to prove Ayers’ authorship using computer analysis. Millican refused after they would not assure him in advance that his results would be published regardless of the outcome. After some analysis Millican later criticised the claim, saying variously that he had “found no evidence for Cashill’s ghostwriting hypothesis”, that it was “unlikely” and that he felt “totally confident that it is false”. 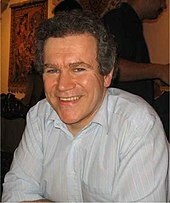 Millican played chess over-the-board in his youth, and captained Oxford University to victory in the National Chess Club Championship in 1983. He later turned to correspondence chess, becoming British Champion in 1990. This brought him the British Master title, and he then became an International Master in 1993 by winning his Semi-final group in the 19th World Correspondence Championship. With an international rating of 2610 (ranked 31 in the world), Millican was invited to play in the NPSF-50 “super tournament” (the first-ever Category 15 tournament, with an average rating over 2600). By coming fifth—after Ulf Andersson, Gert Jan Timmerman, Joop van Oosterom, and Hans-Marcus Elwert, Millican qualified in 1997 as anInternational Correspondence Chess Grandmaster. He analysed the Double Muzio chess opening in detail, asserting equality. In the third video below in the 105th clip in this series are his words and my response is below them. How can a good God allow evil and suffering? c. End of it all—Bible teaches that God will one day put an end to all evil, and pain and death. “God will wipe away every tear from their eyes; there shall be no more death, nor sorrow, nor crying. There shall be no more pain, for the former things have passed away” (Rev. 21:4).As Christians we have this hope of Heaven and eternity. Share how it has made a tremendous difference in your life and that you know for sure that when you die you are going to spend eternity in Heaven. Ask the person, “May I ask you a question? Do you have this hope? Do you know for certain that when you die you are going to Heaven, or is that something you would say you’re still working on?”How could a loving God send people to Hell? a. Origin of hell—never intended for people. Created for Satan and his demons. Jesus said, “Depart from Me, you cursed, into everlasting fire prepared for the devil and his angels” (Matt 25:41). Man chooses to sin and ignore God. The penalty is death (eternal separation from God) and, yes, Hell. But God doesn’t send anyone to Hell, we choose it by refusing or ignoring God in attitude and action. b. Nature of God—“ God is not willing that any should perish, but that all should come to repentance” (2 Peter 3:9). He is so loving that He sent His own Son to die and pay the penalty for our sin so that we could avoid Hell and have the assurance of Heaven. No one in Hell will be able to blame God. He doesn’t send people there, it’s our own choice. We must choose to repent, to stop ignoring God in attitude and action, accepting His salvation and yielding to His leadership.c. End of it all—Bible teaches that God will one day put an end to all evil, pain, death, and penalty of Hell. “God will wipe away every tear from their eyes; there shall be no more death, nor sorrow, nor crying. There shall be no more pain, for the former things have passed away” (Rev. 21:4).As Christians , we need not worry about Hell. The Bible says, “these things have been written . . . so that you may know you have eternal life” (1 John 5:13). I have complete confidence that when I die, I’m going to Heaven. One response to the problem of evil is that God sees our freedom to choose as a higher value than protecting people from harm; this is the freewill defense. Stephanie said, however, that natural disasters can’t be blamed on free will and sin. What about this? Is it true that natural disasters can’t be blamed on sin? I replied that they did come into existence because of sin (Genesis 3). We’re told in Romans 8 that creation will one day “be set free from its slavery to corruption,” that it “groans and suffers the pains of childbirth together until now.” The Fall caused the problem, and, in the consummation of the ages, the problem will be fixed. So,… if there is no God, there really is no problem of evil. Does the atheist ever find herself shaking her fist at the sky after some catastrophe and demanding an explanation? If there is no God, no one is listening. Theistic philosopher of religion William Lane Craig recently debated Atheistic Philosopher Peter Millican on the topic “Does God exist?” I daresay this was one of the most interesting debates I’ve heard. Millican came in with a clear strategy, and the debate covered an extreme range of topics. The friendly nature of the debate was also quite rewarding to hear. Clearly, we can have such discussions without attacking each other. Anyway, to the outline and analysis. Craig began by outlining the topic: Does God exist? The topic can be answered as yes or no. Craig argued for the former, and left the latter to Millican. First, he argued philosophically against an infinite past. This argument would become quite important throughout the debate so I’ll outline it briefly. If we had an infinite number of coins, each with a number upon them, and took away ten, the number of coins would still be infinite. If we took away all the even coins, we’d have subtracted an infinite number of coins, and still, there would be an infinite number of coins. If, however, we subtracted all the coins above 3, we’d have subtracted infinite from infinite, and be left with 3 coins, not infinite coins. Craig argued that this is obviously a contradiction because despite subtracting the same amount (or different amounts) we can come up with two different answers (or the same answer). Therefore the past cannot be infinite. Craig also argued scientifically that the universe began by bringing up the Borde, Guth, and Vilenkin theory which shows that irregardless of theories about the multiverse, bubble universes, and the like, the universe had a beginning. He then argued the fine-tuning argument. There are a number of conditions of the universe which have been fine-tuned within a narrow range for the existence of life. Because of this, argued Craig, we can conclude the universe was designed. Objective morality also necessitates the existence of God, argued Craig. The argument was based upon two major conditions: that objective morals exist, and that they cannot if there is no God. He quoted atheist philosopher Michael Ruse who said (in part): “morality is just an aid to survival” on naturalism. Yet our moral experience leads us to believe that morality is indeed objective, and we know that, on naturalism, there is no ontological basis for morals. Thus, God exists. Three facts must be explained by those who argue Jesus did not rise from the dead, and any theory must answer all of them: 1) the empty tomb; 2) on different occasions and settings to different people, Jesus appeared alive; 3) disciples showed a sudden belief that Jesus had risen, despite every predisposition to the contrary. Craig noted that these three facts are agreed upon by New Testament scholars–both theists and non. Finally, Craig argued for the experiential awareness of God. Millican used a different strategy here. Rather than immediately rebutting Craig’s arguments, as most have done in debates with Craig (although, notably, Stephen Law did not either in his debate with Craig), Millican argued against the method used first. Christianity, he stated, is a hypothesis about reality. It makes a claim about what reality is. Therefore, the burden of proof lands squarely upon the theist. He argued that people are primed for belief in gods. They have a “permiscuous teleology” which seeks for design. Furthermore, the dominant determinant of religious orientation is place of birth. Before one could accuse Millican of the genetic fallacy (I actually wrote this on the side of my notes), he stated that he was not arguing these disprove God. Rather, he argued that if a method leads to variant beliefs, then it should discredit the method. He then turned to rebutting Craig’s arguments. He said that quantum mechanics has shown that particles can come into existence out of nothing (note that he did indeed use the word “nothing” here). He furthermore argued that in our experience, we only see physical things being rearranged, not coming into existence ex nihilo. He argued that our experience must establish these truths. He also cited Vilenkin, in a letter, stating that his theorem did not show the universe had a beginning. Regarding the moral argument, he asked “what is objective?” He said that based upon how one defines this, one could have different answers about objective morality. Craig noted that Millican’s attempt to put all burden of proof on the theist didn’t work, because they also make a claim about reality: “There is no God.” This claim needs support as well, and Millican did not support it. Regarding Millican’s claim about method, Craig responded that his method is logic, evidence, and personal experience–the same things which the scientific method relies upon. Thus, if the method yields God’s existence, it is not to be distrusted but embraced by those who value the latter method. Not only that, but Millican’s argument seemed to suggest that religions all used the same methodology in reaching their truth claims, which is highly contentious and definitely untrue. Religions use a broad array of methods in how they discover truth. Craig argued that absence of evidence is not evidence of absence. Only if we should expect more proof than there is should we be in doubt of the existence of something due to absence of evidence. Furthermore, argued Craig, he presented a great wealth of evidence already. Craig then quoted Vilenkin’s letter in context. Vilenkin wrote that the beginning could be avoided only if one allowed for a contracting universe, but that this was highly unlikely and would have prevented the expansion of the universe. Thus, Vilenkin said, if he were to give a short answer to the question “Does your theory imply the beginning of the universe?” the answer would be yes. I should note that Millican dropped Vilenkin faster than Dawkins runs from Craig after this quote was read. Craig then argued that the unembodied mind is hinted at our own experience. Furthermore, epiphenominalism simply cannot ground reality as we experience it. Finally, regarding the moral argument, Craig asked why we should value humans and not chimps. Millican responded to the fine-tuning argument by saying that perhaps we may explain these evidences later. Further, we can’t base it all upon current physics, which may change. He also argued that there is difficulty with using the probability argument because our only sample is our current universe. God, argued Millican, would have been greatly inefficient if he made the universe as he did. He briefly touched on the evil god thesis (as seen in the Law debate) and argued that the evidences could work for an evil deity. Millican also suggested we should expect more evidence–why can’t there be more evidence for the existence of God? Regarding the philosophical argument about the beginning of the universe, Millican noted that transfinite math does not allow for subtraction or addition because it yields diverse answers. Thus, he stated, Craig’s argument is confused. He also conceded that the quantum vaccuum is not nothing, which was interesting considering he had literally used that word for it in his opening statement. He pressed his point, however, by stating that it is the closest we can come to nothing in our experience. Unfortunately, Millican ran short on time and couldn’t respond to all Craig’s points. God’s ‘inefficiency’ presupposes a God-as-engineer, argued Craig. One would have to be limited on time or resources in order to be compelled towards efficiency–limits God obviously does not have. God might be better compared to an artist or chef–enjoying the creation and beauty as he designed the universe. The philosophical argument about infinites is problematic for Millican, argued Craig. The reason is because while we can slap the hand of a mathematician who tries to do so with abstract math, we can’t do the same thing in real life. If we literally had infinite coins, we couldn’t prevent someone from taking one away, and leading to the absurdities. In fact, Millican essentially demonstrated the point: such things are excluded in transfinite math because they are absurd, and so can’t happen in the real world. Millican’s argument that the fine-tuning argument depends only on current physics illustrates Craig’s point exactly, countered Craig. Namely, that current physics supports the existence of God. Millican argued that it doesn’t follow that if epiphenominalism is false, dualism is true. I think it’s really unfortunate the debate was so short–it would be interesting to see their views on this matter face off. He argued statistically that there are many moral realists who are not theists. Why shouldn’t an atheist believe in objective moral values? asked Millican. There’s no good reason they can’t detect them and experience them. Further, we can value humans because they’re rational, and the same species. Finally, he argued that scholars like Bart Ehrman had undermined the evidence for the resurrection by showing that the Gospels weren’t independent and unreliable. Craig noted there still was no good argument for atheism and that he’d presented good arguments for theism. Bart Ehrman and the others Millican cited actually agree with the three facts Craig used to support the resurrection, so there was still no counter to that argument. Craig noted that rationality doesn’t serve as an objective cut off point for morals. Sam Harris argued that sentience is. On atheism, argued Craig, there is no non-arbitrary line at which to base morality. Why should we value rationality? Why value humans more than chimps? Again, the line is arbitrary. The fact that many atheistic philosophers believe in realism of morality doesn’t show that it has grounds ontologically in atheism. Millican said there are many theories of how objective reality can be established on atheism. He argued that physics may change and so we can’t base the existence of God upon current physics. Finally, regarding evil, Millican said that our empirical evidence should lead us to doubt whether God exists. What should we see if there is a God? Certainly not this much suffering. The debate was great. There were so many topics covered, it was a whirlwind. Millican’s refutations of the Kalam were dramatically undercut by Craig. His citation of Vilenkin was just utterly demolished when Craig read the rest of the passage. His arguments about how we can’t add or subtract from infinity merely demonstrated Craig’s point: that it is absurd to suppose actual infinites exist. Regarding the causal premise, Craig argued in the debate that Millican would have to hold there was no essential or material cause for the universe, an argument to which Millican never had a response. To be fair, this may have been due to time. I thought Millican’s response the fine-tuning argument was quite strange. Certainly, physics may change, but that doesn’t mean we can’t trust what we know now. As Craig argued, physicists today are quite convinced of the trustworthiness of physics. Further, Craig responded to the probabilistic argument by showing that we do indeed know the probability–despite the sample size. There is simply a life-permitting range for the values cited, so we can be justified in holding the fine-tuning argument to be true. The resurrection definitely didn’t get defeated. Millican’s deferment to Ehrman and the like actually justified Craig’s 3 facts approach, because the scholars he cited affirmed the three facts. Overall, I think Millican did much better than Law and definitely better than Harris or Krauss in those debates which I reviewed. That said, Craig still established the existence of God–at least as best can be done in under an hour to speak. Millican’s objections were interesting, but ultimately defeated by Craig. I think it’s fair to say that this debate showed, once more, that in the forum of rational inquiry, theism has an upper hand. Check out the audio of the debate at Apologetics 315. Also see their awesome feed which features tons of Craig’s debates. See Wintery Knight’s summary of the debate. http://reasonablefaith.org – It seems that some atheists are doing everything they can to prove the universe had NO beginning – even if it means taking someone out of context! The Borde-Guth-Vilenkin Theorem has proven the universe had a beginning NO MATTER WHAT KIND OF SCIENTIFIC MODEL ONE PROPOSES (which include oscillating models, multiverses, etc.). In an effort to scramble for a refutation, atheists (like Peter Millican) have claimed that Alexander Vilenkin (a co-author of the BVG Theorem) himself said there is a way to undermine his theorem. William Lane Craig has shown that Peter Millican actually took Vilenkin out of context. Furthermore, Alan Guth (another co-author of the BVG Theorem) said that there is an actual and unique beginning to the universe.